So… how about that 2012 Draft? Maybe that’s tacky, but as bad as this season has been already, I’d feel even worse about it if they somehow put on another huge late surge and play themselves out of the #1 draft spot. Fortunately (or unfortunately, take your pick), they’ve buried themselves far enough down that it will take a huge late surge to look down on anyone else. The Mariners have lost 16 straight and still lag 10 games back of worst. Our other hope of a bright spot right now is Sunday’s looming trade deadline, and is it bad that I’d be most excited to see Bourn, Pence, Myers, Wandy and Barmes all wearing opposing uniforms on August 1? Not that I have anything against any of those guys – Bourn, Pence and Wandy in particular are favorites – but the 2011 Astros are truly, historically bad. Their bad-ness may be the best thing that could happen to this franchise right now, as it’s unmasked entirely the need for rebuilding, with no false hope of contention left to hide behind. For a team with this many holes, the fastest way back to contention is to trade every veteran you can for the best prospects that you can, then let the young guys grow up together (see: 1991 Astros, who laid the groundwork for the most successful decade in franchise history). I’m as eager as anyone for the Astros to get on with the future and blow up the roster now, but I don’t expect all five of those guys to be gone by next week. But, y’know – that’s okay. With the exception of Barmes, it’s important to remember that none of the Astros’ key veterans are in line for free agency this winter. So anybody they don’t trade now, they could still move for prospects in the off-season. It could be argued that they’ll get better value in the heat of a pennant race, but that’s not always necessarily the case, so it behooves the club to find the best possible deal. No, they shouldn’t set their asking price so high now that they’ll be forced to take a lesser deal later, but neither should they trade anybody now just for the sake of offloading them immediately. It’s an inexact science, and it’s maddening, but the flexibility is ultimately better than having their hand forced by expiring contracts right now. Or it should be. I’ll be most upset if the team doesn’t look drastically different – and younger – by 2012. It was the kind of play that keeps you watching even after hope is nearly lost. Your team is down in the 9th inning, two outs, and the final batter lofts a fly that’s destined for an opposing glove. For as long as the ball is in the air, you’re thinking, “Drop it! Drop it!”, even though you know that you’re hoping against hope. 99.5% of the time, it’s game over, good guys lose. But it’s that 0.5% chance, a baseball fan’s undying optimism, that keeps you watching. Thank you, Cristian Guzman. Sorry, Nationals fans. Don’t look now, but Houston is 5-4 in their last 9 games. That doesn’t seem like much, but a team that manages to go 5-4 in every 9 games all season will finish with 90 wins. The last-place Astros, believe it or not, have three such 9-game stretches so far this year (two 5-4’s plus a 7-2). The problem is that they only have 3 wins in their other 27 games combined. For now, the 2010 ‘Stros are still keeping pace with the 2005 World Series team – they matched 15-30 records, and now they’re matched again at 20-34. It’s still unrealistic to make serious comparisons between the two years, but Houston’s bugaboo all year has been the hitless heart of the order. Hunter Pence began turning that around a while ago, and now it looks like Lance Berkman and Carlos Lee are finally following suit. 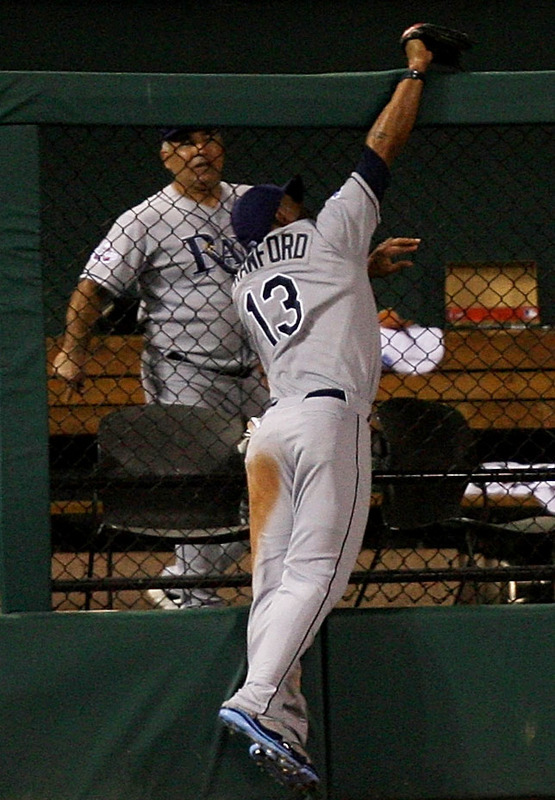 I’d still like to see Pedro Feliz pick it up some more too (or else – Chris Johnson, anyone? ), but if the Big Three keep swinging well, these Astros won’t stay in last place for long.